Okay so take note people, weed WILL make you a horrible murderer! Not to spoil the plot, but it will also probably cause you to die. 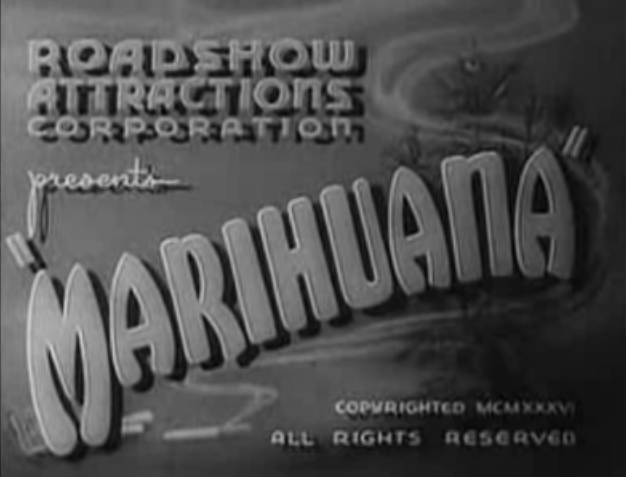 This, amongst other anti-weed propaganda (like Reefer Madness, also made in 1936 – bad year for stoners), are almost laughable today. Yet, they founded a lot of the stigma and illegalization of weed that still holds strong for many today. Watch the movie and see the horrors of marijuana in action.